In an interesting twist in CBS Sports’ Dennis Dodd’s recent poll of anonymous coaches, there was only one Big 12 coach to show up on the list of underrated and overrated coaches in college football. 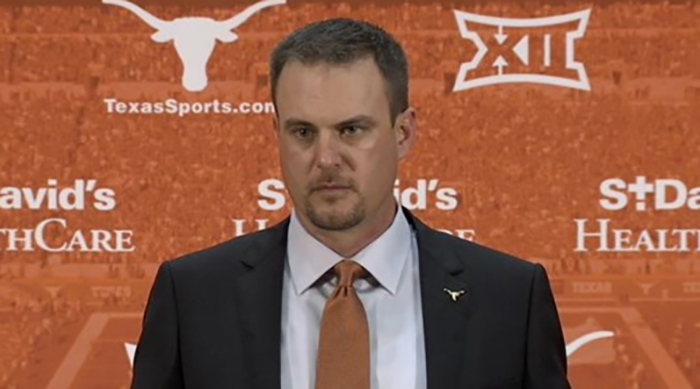 And it was the same guy: Tom Herman. Overrated: After winning the AAC in 2015, Herman is 16-9 in his last two seasons at Houston and Texas. For all the fanfare and love, the head coach really hasn’t proven anything on the biggest stage. Plus the AAC title that he won in 2015 was with players from his predecessor, Tony Levine. 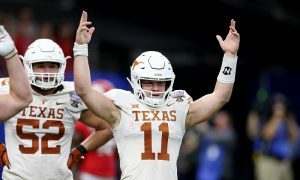 Herman’s first year in the Big 12 with the Texas Longhorns looked an awful lot like what we saw in previous seasons with Charlie Strong and the end of the Mack Brown tenure. Yet Herman gets a lot of love and attention. For what? I’m not sure. Underrated: At Houston, Herman was able to recruit one of the top defensive tackles in the nation to a Group of 5 school. Ed Oliver committed to Herman over some of the biggest FBS programs in the country. 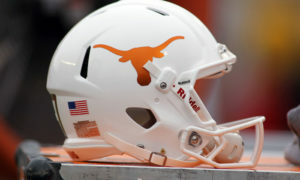 In his first full recruiting cycle with Texas he landed a top five class and brought in arguably the best group of safeties every assembled in a single class. He walked into Houston and won a conference title and the Peach Bowl with a bunch of players that Tony Levine could only get to go 16-10 the previous two seasons. 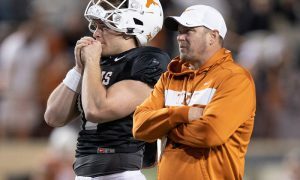 Sure it was a rough first go around with the Longhorns, but Herman is building something and finally getting the stagnant program to turn the corner. What say you? Which one is Tom Herman? Underrated or Overrated?